Memorial services for Luella P. Miller, age 88, of Albert Lea, will be held at 2:00 p.m. on Saturday, January 26, 2019 at Bayview/Freeborn Funeral Home. Pastor Kent Otterman will officiate. Friends may greet the family beginning at 12:30 p.m. on Saturday at the funeral home. Online condolences are welcome at www.bayviewfuneral.com. 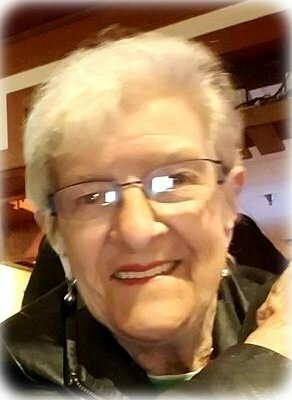 Luella died Tuesday, January 22, 2019 at Mayo Clinic Hospital – St. Mary’s Campus in Rochester. Luella Pearl Miller was born on the family farm on September 7, 1930 in Goodrich, ND, the daughter of Edward and Martha (Demmer) Papke. She was the youngest of 13 children. She graduated from Goodrich High School in 1948. Luella married Hugh “Bud” McIntyre in 1948. He passed away in 1963. After Hugh died, Luella and her three boys moved from Bismarck, ND to Albert Lea. In 1970, Luella married Howard Miller. He passed away in 1971. Luella was very involved with the Eagle’s Club, including the auxiliary, drill and ritual team, and raising money for cancer research. She loved the Vikings and always wanted to play one more round of golf. At 88 years of age, Luella was still playing in a women’s pool league. Luella is survived by her three sons, Ron (Kris) McIntyre, Mark (Carolyn Vangen) McIntyre, and Dan (Cheryl) McIntyre; eight grandchildren, Cory (Jennifer) McIntyre, Casey (Katie) McIntyre, Kim (Chad) Lundak, Bucky Christensen, Travis (Jennifer) McIntyre, Amanda McIntyre, Matthew (Jennifer) McIntyre, and Ruslan McIntyre; 17 great-grandchildren; 1 great-great-granddaughter; sister, Marie Loose; brother, Warren Papke; and many very close friends. Luella was preceded in death by her parents, Edward and Martha; husbands, Bud and Howard; and 10 siblings, Ellen Hanson, Clarence Papke, Roy Papke, Art Papke, Lillie Heckes, Harry Papke, Hazel Mindt, Louise Dockter, Lucille Jenner, and Betty Dockter; and many nieces and nephews.